You may have read, or heard, somewhere that you should never plant a rose in soil where other roses have been. The reasons cited are because the new roses won’t do well and may even die. There are mixed feelings about this with some people saying it’s true and some saying it isn’t. We’re not going to get into that debate here, but we are going to recommend you do a few things if you plant roses in soil where roses used to be simply because they are good idea anyway! The old method of dealing with rose replant disease was to remove all the old soil and replace it with fresh soil. I am guessing whoever came up with this idea was able to hire someone to do it. I can tell you they didn’t live where I do with heavy red clay! Luckily there is a much easier method. 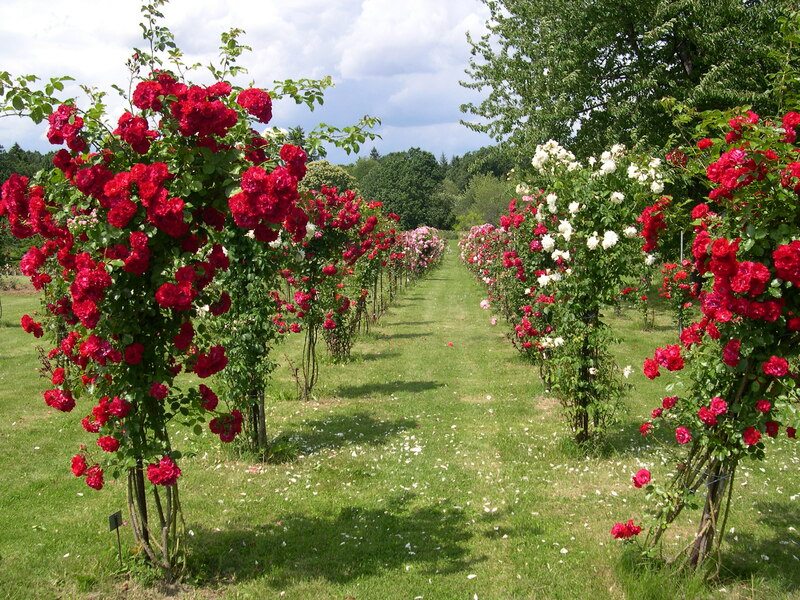 It has been proven that roses treated with mycorrhizal fungi thrive in soil where roses used to be. Mycorrhizal fungi have a symbiotic relationship with plants. Essentially they help the plants take up water and nutrients, while also acting as a buffer against certain harmful microbes and pathogens that may have been left behind by the roses that used to be there. By using mycorrhizal fungi there is no need to replace the old soil. Mycorrhizal fungi are applied by either brushing them on the roots before planting, adding them to the planting hole or by dipping bare root roses in a liquid form. How you apply it will depend on if you are planting bare root or container roses and which method you feel is easiest. You can purchase mycorrhizal fungi from some local garden centers or on the internet. Simply tell them what you are doing and then decide which method is best for you. The other key to making sure this works is to understand that mycorrhizal fungi need organic matter and nutrients to do their job. That is why the other thing you must do when planting roses in an area where roses used to be, is to add lots of well rotted manure and/or compost. Never use chemical drenches or those chemical all in one rose fertilizers because they will kill the beneficial fungi in the soil. So if you are worried about rose replant disease, or even if you aren’t, the simple steps we’ve outlined are a good idea regardless. They will truly enrich your soil and thereby your roses. Add lots of well rotted manure or good garden compost to the soil. Treat the new roses with mycorrhizal fungi either by brushing it on, putting it in the hole or soaking the roots in them. Never use chemical drenches or all in one rose treatments because you can harm the soil.